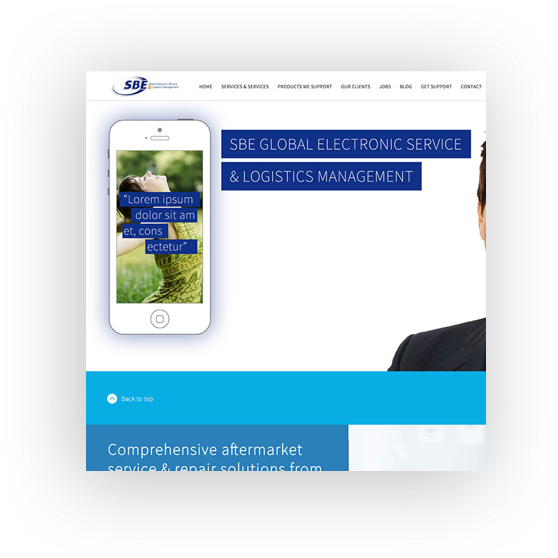 SBE Globalservice is a major player in the after-market services for electronic devices, particularly mobile phones. For a 6 year period 2 days a week my role was varied. 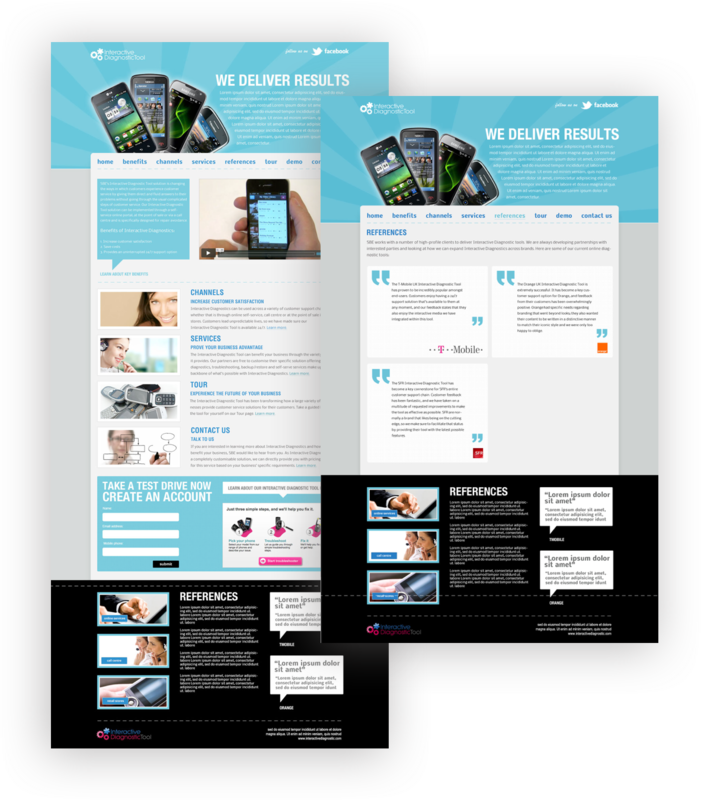 From UX practitioner to UI designer and front end developer I would produce work mainly for their interactive diagnostic tool which would plug into any mobile phone providers website or internal system and analyze the health of the customers phone. This led me to produce work for EE, Giff Gaff, Orange, O2, Orange, Barclays, Huawei, Honor, Philips, Nokia and others. Below is an insight into some of the work I undertook while working for SBE. 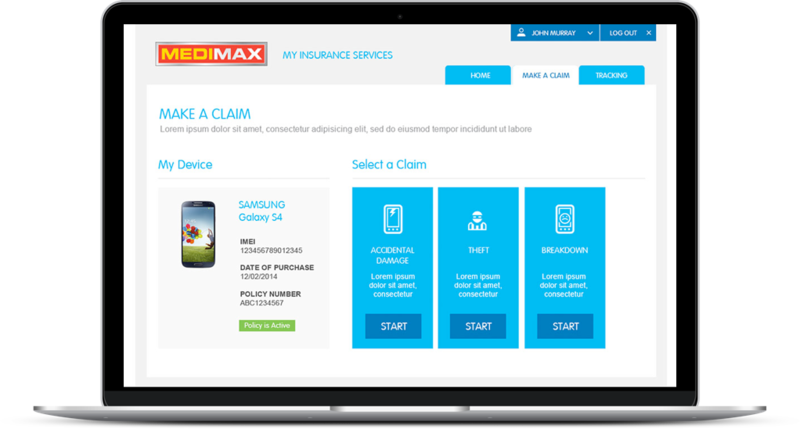 Domestic and General required three websites; one for the Consumer, one for the Call Centre Staff and one for the Customer Service Staff in stores to manage the after sales warranty service. 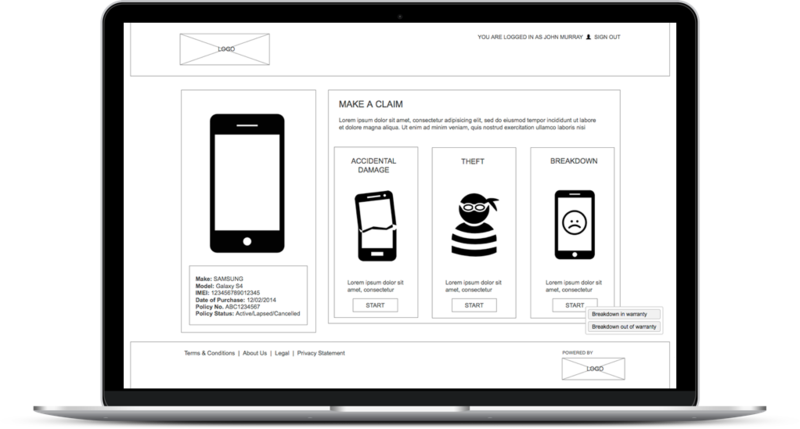 Our main challenge was to create a smooth simple process for the user to easily register an account, manage it, make a claim and determine whether it was ‘accidental damage’, ‘theft’, ‘fluid’ or a ‘breakdown’, then track that claim, trade in their phone and finally receive the outcome. The sites would be for the Spanish and German markets. 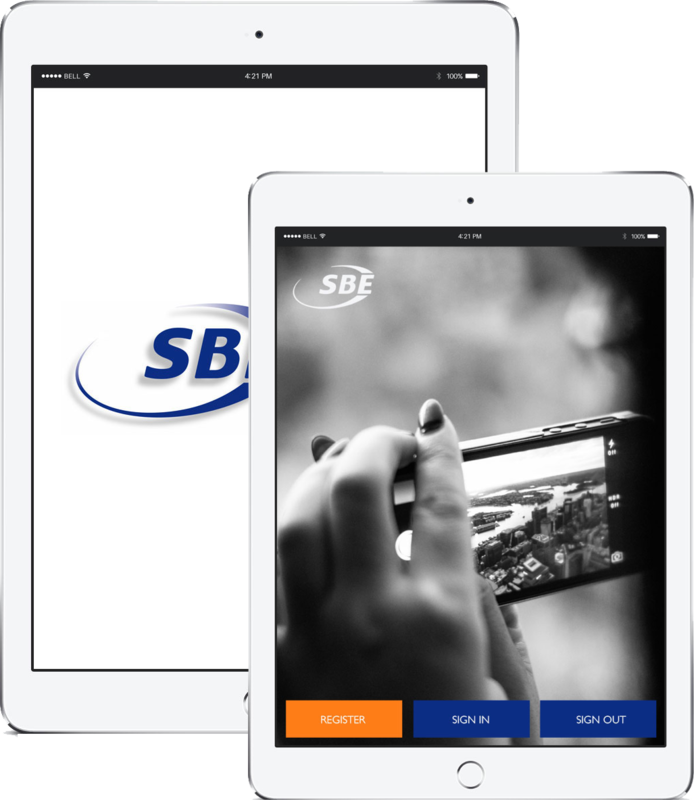 Working as part of a small team and closely with the Head of Strategy and account holders at SBE. 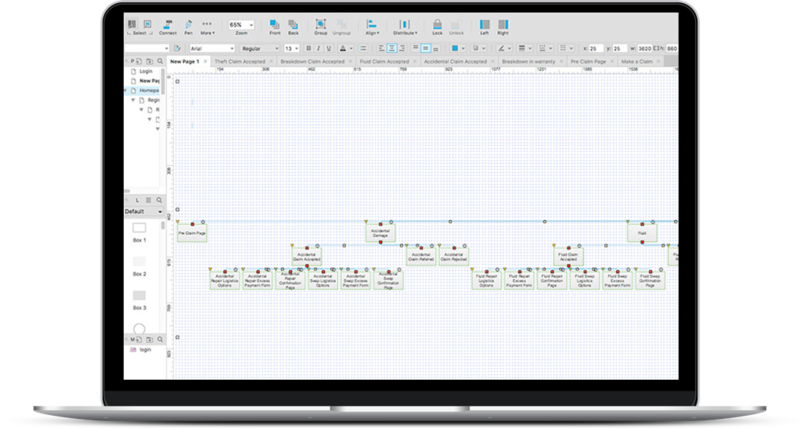 I was responsible for the whole UX Process; from the collating of information, sketching out the rough ideas for the Websites, creating Site Maps, designing mock ups for the pitch, Wireframing and Front-End Development. 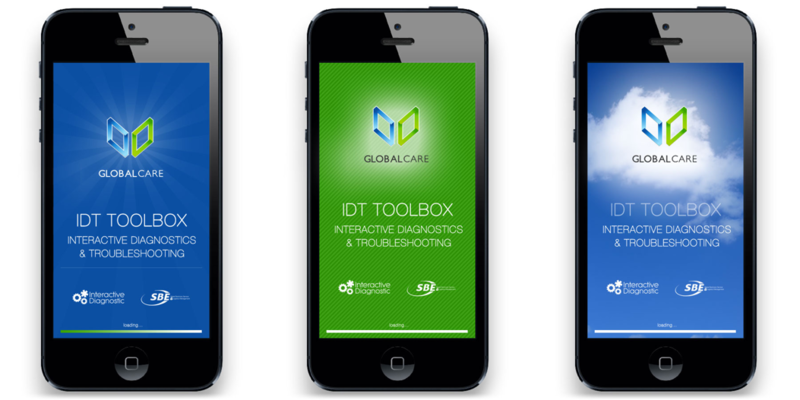 The Interactive Diagnostic system is one of SBE’s key tools used by many telecommunication companies. 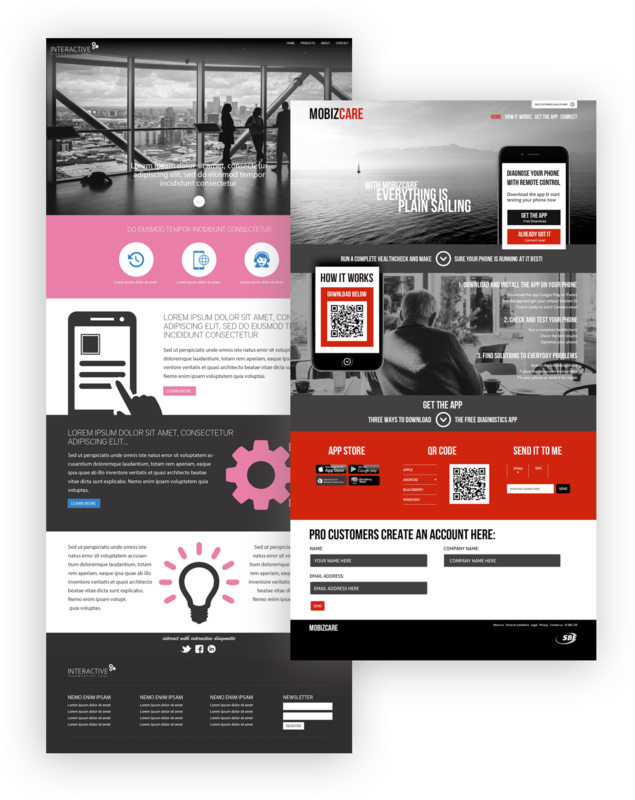 Below are examples of design ideas for the website promoting the tool. SBE required a design for a sign in facility for their reception process. 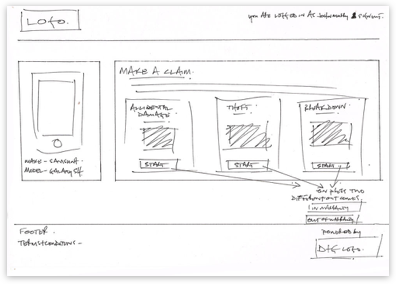 Below is the signed off design after a series of UX methods and testing. 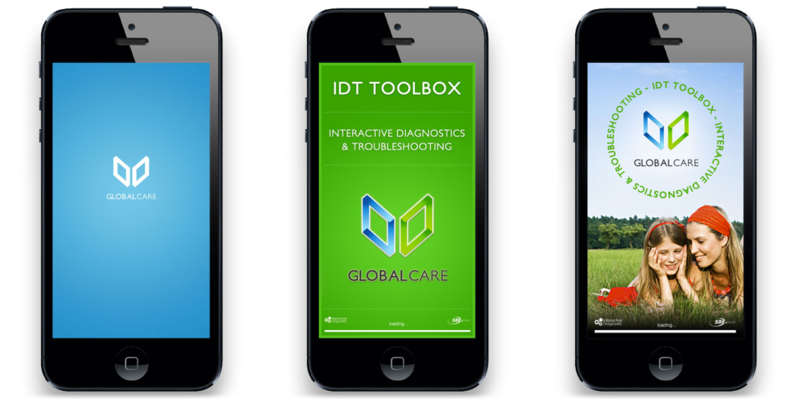 Globalcare is SBE’s platform for services and solutions in the after market service. In the period I was there, they produced an app and my role was to produce the artwork for the development team. Below are some examples of different splash pages I put together.